Hi, Ive just started using blocs. I was able to change my logo/picture etc when i fist opened it up. Now, for some reason i cant select/change any picture etc. I start a new project, add a navigation bloc. Then cant change the picture from default!? Open the project and click on the image in the menu area. As you see it selected. 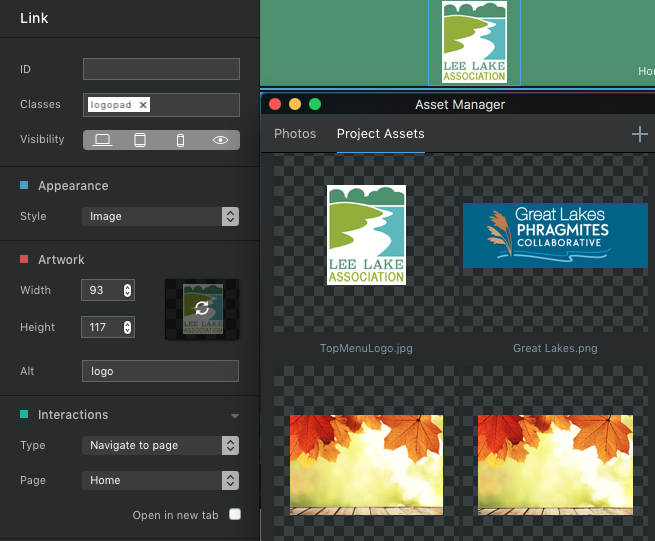 Then in the art work area click on the current image and it will bring up the asset manager. You then can choose a new image.